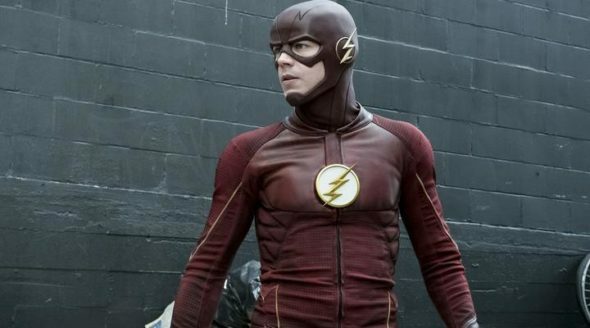 “You need to prepare yourselves.” The CW has just released a new preview for season four of The Flash. According to TVGuide, the new season will see The Flash (aka Barry Allen) recovering from the Speed Force prison and facing a new villain, The Thinker (Neil Sandilands). The returning cast includes Grant Gustin, Jesse L. Martin, Tom Cavanagh, Candice Patton, Danielle Panabaker, and Carlos Valdes. Season four of The Flash premieres on The CW on October 10th at 8 p.m. ET/PT. What do you think? Do you watch The Flash? Are you excited for the new season? More about: The CW TV shows: canceled or renewed?, The Flash (2014), The Flash (2014): canceled or renewed? The Flash: Season Four; Will Tom Felton Be Back?